Cooking can be considered a lost art in our on the go society. This may result in many bodybuilders eating loads of processed foods that can cause GI distress, inflammation, and high insulin levels. Rub and coat the pork with the spice mix. Melt grass fed butter/olive oil (whichever you choose to use) in a pan over medium high heat. Brown the pork tenderloin on all sides (~2-3 minutes each side) and place in slow cooker. In the same pan in which you seared the pork , pour chicken broth, and honey/maple syrup and bring to a simmer, stirring occasionally to get all the brown bits (aka flavor bombs) into the sauce. 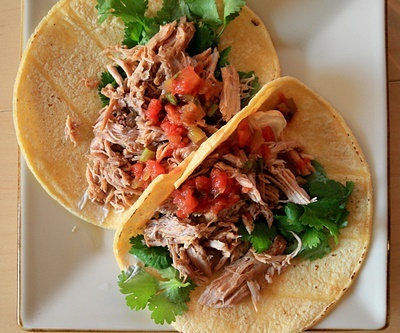 Pour sauce over pork and apples in slow cooker. Mix all the spices together in a bowl. Rub and coat the beef with the spice mix. Cut and peel the butternut squash. You will need a peeler to shave the outer layer first. Then cut in half and take out the seeds, then cut into large cubes. Season with spices and if desired, but the broth will flavor it quite a bit. Put the bone broth, BBQ sauce, and aminos in the crockpot. Add the celery, carrots, squash, and beef. Set to low for 8-10 hours. One of the toughest things about following a “clean” diet is feeling deprived. One way to get around this is to create healthy alternatives that will satisfy your cravings. This can provide you with a mental break and help keep you on track to your goals. 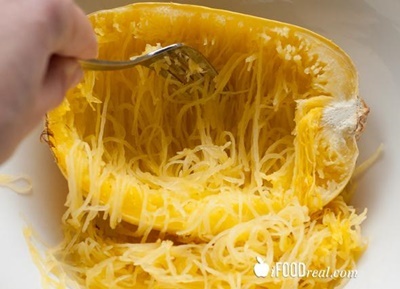 Cut spaghetti squash length wise. Place the two halves of squash face down in a large baking pan. Fill the pan with ~1 inch of water and place into oven for ~30-40 minutes. Combine chicken tenders with olive oil, salt, pepper, garlic and Italian herbs. In a large pan over medium high heat, pour 2 tbsp of olive oil. Once brown, pour in marinara sauce and coconut milk. The amounts of both depend on how much sauce you like. I usually use ¾ of the marinara for 1 pound of chicken and ~1/2 cup coconut milk. Add chopped basil, reduce the heat to medium low and cover for about ~20 minutes. Once the spaghetti squash is done (fork tender), scoop out with a fork or spoon into a bowl and top with the chicken and marinara sauce. Cook bacon either on stove or in the oven and set aside to cool. Wash potatoes and keep the skin on. Tip #1: I usually use just the middle of the sweet potatoes and save the ends for roasting or smashing. Place into a bowl and pour melted coconut oil on top. Add sea salt and pepper and mix until the sweet potatoes are well coated..
Lay out onto a baking sheet lined with parchment paper. Cook potatoes until slightly golden brown and tender for about 20-25 minutes, flipping them once. Set aside to cool. Mix your chosen protein with seasonings, sun dried tomatoes and garlic. Grill burgers for about 4-5 minutes on each side or until they have reached your desired doneness. 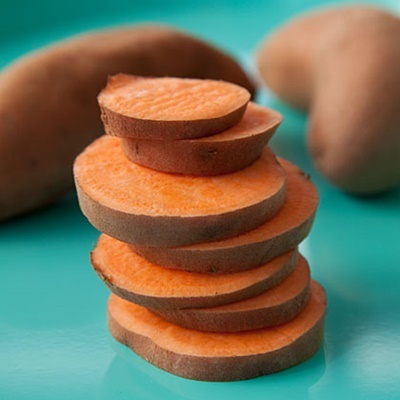 If you prefer your sweet potato slices to be crisper, either keep them in the oven longer, or place them on the grill to get those fresh grill marks. You can also place them in a pan with ghee/grass fed butter on medium heat and cook on each side until crispy and brown. 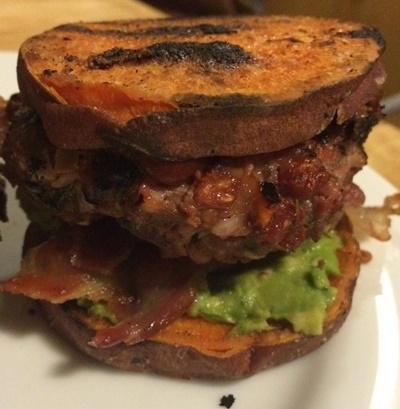 Place a burger patty on top of a sweet potato slice and top with your favorite garnishes! Sometimes you just have a craving for something sweet that just needs to be satisfied. Rather than indulge in something full of refined sugars and processed ingredients, try this fudge that is loaded with healthy fats and antioxidants. In a medium bowl, mix together the nut butter and coconut oil until smooth. Add in the raw cocoa powder, melted chocolate, maple syrup, sea salt and vanilla. Stir until smooth and creamy. Mix in ~3/4 c walnut pieces and 2 tablespoons of raw cacao nibs. Transfer the mixture to a dish, lined with plastic wrap for easy removal, and smooth the top with a spatula. Sprinkle remaining walnut pieces, one tablespoon of cacao nibs and Maldon sea salt flakes on top and press down gently so it stays in the fudge. Place the dish in the freezer, and allow the fudge to set for at least an hour before slicing and serving. 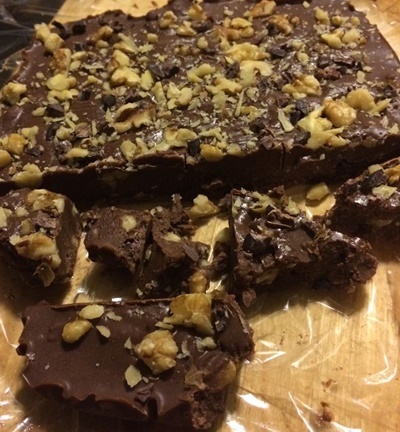 If there are leftovers, store the fudge in a sealed container in the freezer. Once your diet is on point, a supplement stack like the Sheer Stack will cover all your bases and help boost testosterone levels, boost metabolism, spare muscle tissue, and energize your workouts. Everyone knows that diet is the most important factor when it comes to changing body composition. Using these recipes will provide you with quality protein and essential fats while keeping the carbs at a reasonable level.